Stan Little | HOPE Global Forums | Presented by Operation HOPE, Inc.
Stan Little is President of the SunTrust Foundation. Mr. Little leads the company’s philanthropic work to advance financial well-being in the community—including financial education; workforce development, entrepreneurship and a variety of impactful community enrichment initiatives. He was previously Head of Marketing Strategy and Operations, responsible for developing the long term marketing strategies, investment plans and performance standards that drive the company’s brand leadership and marketing effectiveness. Prior to joining SunTrust, Mr. Little led International Marketing at NCR Corporation responsible for lead generation, thought leadership and brand awareness across the firm’s industry groups globally. Mr. Little has over 25 years of experience in various venture-backed and fortune 100 technology companies, holding senior roles in sales, corporate development, business operations and marketing. He has been an adjunct professor of business management and entrepreneurial strategy at Georgia State University’s J. Mack Robinson College of Business. Additionally, Mr. Little has served in an advisory capacity with the Federal Communications Commission (FCC) and The College Board. 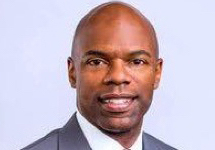 He is currently Chairman of the Board of North Fulton Community Charities, an established social services non-profit in the greater Atlanta area and has held other director and advisory posts with private companies and non-profit organizations. Stan Little holds a BS in electrical engineering from Duke University, a Masters in electrical engineering from Purdue University and an MBA from the Haas School of Business at the University of California, Berkeley.